I know people whose emotions fluctuate in response to the weather, but I never used to be one of them. 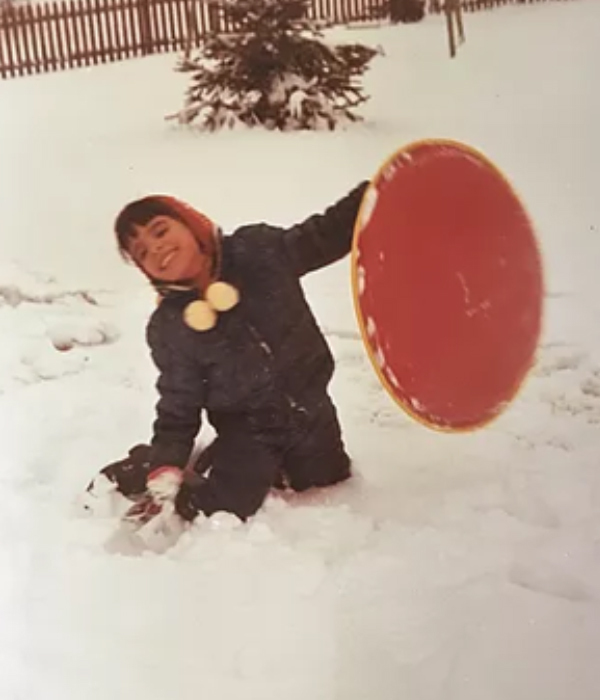 Similar to what my father calls a “teacher-proof” student (one motivated to learn no matter the strength of the student-teacher bond or quality of the instruction), I had always been a “weather-proof” person, generally positive and energetic no matter the situation outdoors. I’ve remained weather-proof most of my life, even though I’ve lived mostly in the northeastern U.S., where each of the four seasons appears in full stereotypical glory, and winter and summer feature extremes of temperature. I don’t think I had even heard of seasonal affective disorder (SAD) until after college. This changed when my brother died on the summer solstice nearly three years ago. That first winter after his death knocked me for a loop. The colder and darker it became, the colder and darker I felt inside. March, with its unreliable and oft-unfulfilled promises of spring and light, made me feel as though I would never have the energy to get out of bed again. I had never been more desperate for April and warm temperatures to arrive. As I regained some energy over that spring and summer, I thought to myself, “Oh, that was the first year, no wonder it was so hard.” I figured that even though I had to continue to contend with the ups and downs of grief, future years would find me back in my old “weather-proof” mode. Full disclosure: The last two years have proved me wrong, so far. The second winter took a little longer to hit me, but when it did, it felt much like the first. I had the same experience this past winter. I feel as though Winter #3 hasn’t let go of me even yet, as the temperatures continue to hover in the mid-40s Fahrenheit each of these late April mornings, and rarely hit 60 over the course of the day. I generally do find a way to get myself going. I have family, jobs, a home, and all sorts of things that demand my action and attention. But the getting going demands much more effort when the weather is cold, wet, and dark – and I feel it, especially in the mornings when I go to battle with it, and in the evenings when I often find myself beaten by it, falling asleep in a chair in my daughter’s room, feeling like someone poked a hole in me and siphoned out all but a sip of my strength. Because of this, I perceive a relationship between weather and my state of mind that I never noticed before. I look at it as “inner weather” and “outer weather,” and they seem to have a mathematical relationship. When inner and outer weather are in sync, they compound – sometimes like an addition equation, and sometimes even more intensely, as though multiplied together – increasing the overall effect. If I’m feeling good, then, a warm sunny day makes it even better; if I’m feeling down, a cold dark day makes it markedly worse. When my inner and outer weather differ, the net result is somewhere in the middle. When I’m in the doldrums, for example, a beautiful day helps to some extent but generally cannot pull me all the way out. I cannot change the outer weather, of course, and I don’t have absolute control over the inner weather either. However, with awareness of both my state of mind and the forecast, I can anticipate what the day may bring and set myself up with ways to cope. I might find some opportunity to move, wear certain clothes, eat and drink particular things, listen to selected music, light aromatic candles, or turn on lights all over the house. If I can, I may change the day’s schedule to do more, less, or other than what I’ve planned. It’s a different way of living, and I’m a different person. I do what I can, with no guarantee that any one thing will help. I’m not sure I will ever return to the weather-proof inner state that helped me ride out the seasons in the past. If I do, down the road, I’ll let you know. In the meantime, I think my electricity supplier will continue to find me a solid source of income from October to April. Self-care comes in many packages, and sometimes it looks like a house ablaze with lights in the dark of winter.